The First EMODnet Stakeholder Conference has brought together EMODnet experts and interested stakeholders to consider whether marine data collected via current observation and monitoring activities in Europe serve the needs of those who rely upon marine knowledge derived from observations and monitoring data. The Conference presented the findings of the EMODnet Sea-basin data stress tests (Checkpoints) and considered how to strengthen open data repositories serving users who face real problems. Finally the participants discussed possible solutions and ways forward to improve and better coordinate the existing and future monitoring and observation activities in Europe. 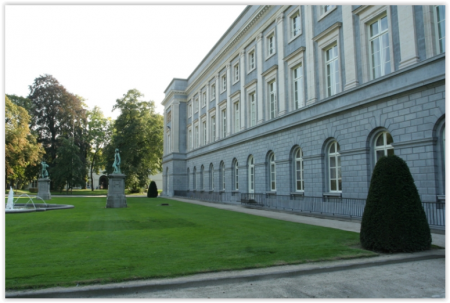 The EMODnet Checkpoint Stakeholder Conference took place over two days, from 9:00 on 14 February until 13:00 on 15 February 2017, at the Royal Flemish Academy of Belgium for Science and the Arts in Brussels, Belgium. The venue is located in near the Royal Palace in the Centre of Brussels at the Hertogsstraat 1 (Rue Ducale 1), 1000 Brussels, Belgium. 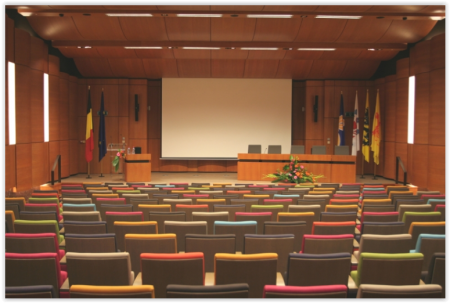 The venue is at walking distance from Brussels Central Train Station and from Metro Station Trone. Download the Logistics Information Sheet for information about the Conference Venue address and how to get there. The Conference aims to mobilise a wide group of interested stakeholders to consider joint issues, present common findings as well as highlighting differences between the Sea-basins as identified by the EMODnet Sea-basin Checkpoints in terms of existing and future monitoring and observation activities, data availability and usefulness to address real problems. Consider how to improve future data adequacy assessments and outputs by seeking input from stakeholders’ needs and identification of gaps. Look forward with Stakeholders from science, policy, industry and civil society on how marine monitoring and observation activities could be improved and better coordinated in Europe. Six sea basin checkpoints are in operation. The first two checkpoints were initiated in the Mediterranean Sea and the North Sea in 2013. Four other Checkpoints covering the Arctic, Atlantic, Baltic and Black Sea were launched mid-2015. More information about EMODnet in general can be found on the information pages of the central portal www.emodnet.eu.